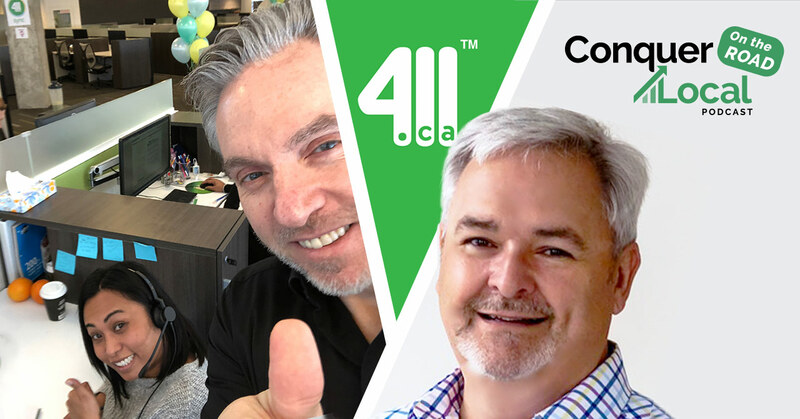 This week, George visits 411.ca headquarters in Toronto, Ontario, Canada, for the relaunch of their small business solutions to help them better serve their whopping 500-700 new clients every month. Hear him speak with VP of Strategy and Business Operations, Mike Giamprini, to receive some fantastic details on how Mike and his team are motivating salespeople, from new hires to experienced managers, and how they’re growing revenue with their high-performing sales & service teams – all focused on helping Canadian local businesses win in their markets. Listen now, and discuss on LinkedIn. Connect with Mike Giamprini on LinkedIn. How about a sales organization that makes over 100,000 sales calls a year? They get 20 million visits to their website. We’re going to take you inside a high performing sales organization with Mike Giamprini, the vice president of strategy and corporate development at 411.ca. 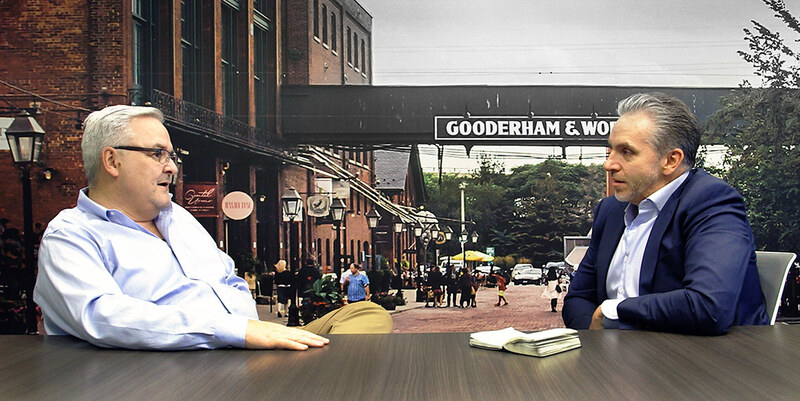 “Conquer Local” podcast special edition on location in Toronto, Ontario, Canada this week. Welcome to this week’s episode of the “Conquer Local” podcast, special edition. We’re in Toronto, Ontario, Canada this week at 411.ca. 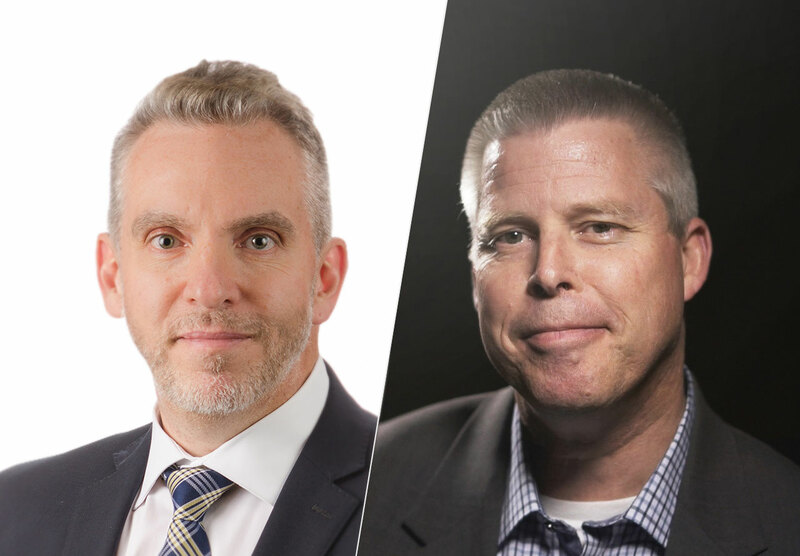 My colleague Craig Taylor and myself, are doing a launch of 411.ca sales organization, and Mike Giamprini, the vice president of strategy and corporate development for 411.ca joining me on the Conquer Local podcast. Mike, thanks for being our guest this week. George: Well, I was excited to come spend the week with your sales team. Really my happy place is when I’m working with sales reps and sales managers, and you’ve got a very engaged organization here. Can we talk a little bit about the sales engine that you have in place? I was impressed this morning you did it right. There was a kickoff. You had the CEO stand at the front door, welcoming all the salespeople, so they understood this was a big deal. Everybody is on board. You’ve got logos up with all of the new products identified so they know that it’s a thing. 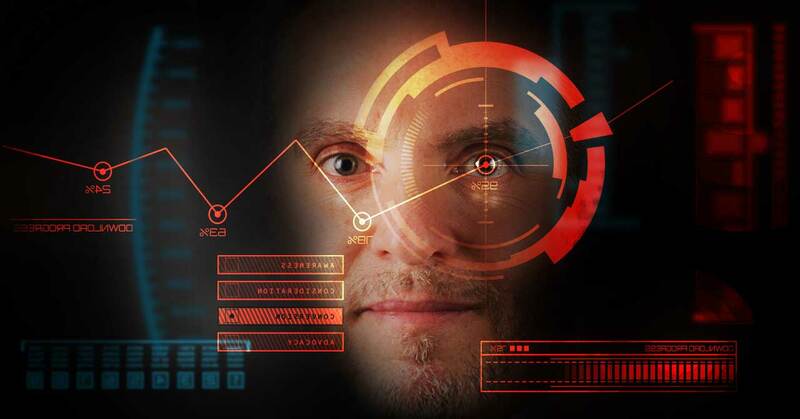 And if there’s one lesson that sales managers and sales organizations can take from what you’ve done here is, you’re releasing a new set of services, a new set of solutions for businesses. But rather than just doing it in an ad hoc way, you’ve made a big deal of it, so they understand this is a thing. Mike: Absolutely. We’ve branded all of the products, we have put them into relevant packages that make sense for small businesses, and we’ve really spent a lot of time and effort getting our sales force, primarily our sales force excited about it. So as you mentioned, you know, when they come off the elevator this morning, they were offered a mimosa and a bit of encouragement from our president. And then when they hit the floor and their desk, they had all the knowledge material that they need and a few kind of branded items to help generate some activity, and some interest. We’ve got some contests and sales promotions going on all week for them. And we’re also doing the same thing with our customer service team. Here in Toronto, we have about 65 salespeople who are on the phone every day prospecting to brand new business for us, which is Canadian small business. And then we have about 30 some odd people in our customer service group, who service our existing customer base. Right now our existing customer base is around 1,500 businesses in Canada. We’re generating approximately somewhere between 700 and 900 new ones a month, and we’re just growing the business. We think these new products are going to help us grow the business that much faster. George: So 700 to 900 new customers a month, coming on board. That means you’re making a ton of calls on a daily basis, and all of it’s over the phone. There’s no face to face. So what would your, you know, the number of calls that you expect from those reps on a daily basis? Mike: Well, I can tell you on a monthly basis, we generate about 50,000 phone calls out of this office, a week. So that’s, you know, just hovering around 200,000 phone calls a month. George: The thing that I think is interesting, and I don’t want this to get lost in this entire launch where we had, you know, the mimosas at the front door, and you had the fantastic breakfast sandwiches for everybody, and the staff was super excited about having breakfast, which isn’t something you do every day. But then, there’s going to be intense training over the next week. Every single member of this organization is going to be sitting in one of these rooms going through training, and you’ve recognized that that’s one of the keys. Mike: Absolutely. As you mentioned, everybody from obviously our sales team and our customer service team, but also our IT folks, our marketing folks, our admin folks, everybody is going through the training. It’s in our culture. Pretty much the way we service our customers, you know, and the entire customer journey when someone’s doing business with us, there are so many people and so many departments that have to contribute to making that a successful relationship that we thought it was really worth making sure the entire organization was aware and familiar with the new products. So everybody is involved in what we’re calling these festivities that are happening all week. George: Well, I noticed you were sitting in them, and I noticed that your president was sitting in those sessions as well. And that’s a great way to get buy-in, you know, throughout the organization. You also said something earlier in one of the presentations. You said, you know, we really need to be consultative in the sales approach. 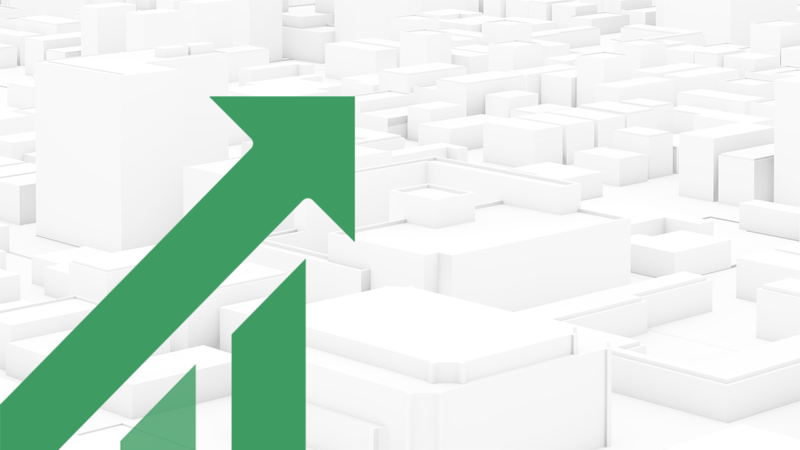 It sounds like you’re making a change to your sales process. Can you talk a little bit about that? Mike: Absolutely. We’re viewing this week as a major pivot for our business in general. As 411.ca, our business model really revolves around selling and advertising product, if you will, on our directory. We get about 20 million visitors to our website a year, so that in and of itself is a way to provide value to an advertiser. But, you know, the directory space is difficult and it continues to be difficult and more and more difficult every day to show value in those products. And so we’ve decided that we have to also start to sell services that are going to support our customers’ businesses if we’re going to be part of their growth patterns as well. So this is why we’ve launched. Today we’ve pivoted our business into becoming a service provider as well as a media through our directory. We are in a recurring monthly revenue model, our business, and so we try to sell as many of them as possible as early in the year as possible so that they can stick around and we can enjoy the benefit of having their business as long as possible in the year. George: So a high performing sales organization. Now, you may be able to hear the music in the background, and I had the pleasure of meeting some of your managers. Definitely, a high energy group of people that are motivating the teams. But just making that sale is really where the relationship starts, and that’s where that customer service part of the business comes in and you’re really involved in that on a daily basis. So I’d like you to talk about how do you support that initial sale and how do you help that customer and grow that relationship? Mike: Absolutely. So our whole model is built on every new sale creates an opportunity for another sale. Whether it’s a follow up sale in the welcome call that the customer gets, which is usually 24 to 48 hours after the initial sale is made, if it’s just an online presence products that’s sold, we’ll spend a good 90 days proving to the customer that we can impact their online presence positively, and we can sort of make them look better, appear relevant, appear more often, appear consistently online, and get them ready to then drive eyeballs to their businesses. So 90 days later, we’ll create an opportunity to sell some paid search to the customer, if it’s relevant, if it makes sense for them. And that’s where our customer service team kicks in. It is their job to make sure that they’re reporting on the performance of the products regularly, that they figure out the right cadence with the customer, they have a total contact strategy that they develop with the customer so that we’re talking to them when they want to be spoken to, how they want to be spoken to: it it text SMS? Is it email? Is it phone calls? We’re kinda anxious to see how this is all going to work now because as I said, we started this new pivot. George: I thought that the texting thing, let’s not let that get lost. What you’re saying and I’ve witnessed this, is your customer service representatives will text the client if that is their preferred means of communication? Mike: Absolutely. We’re just in the process of implementing some new technology where our customer service reps will be able to text their customers from their desktop, and the customers will be able to text our customer service reps and they’ll receive those text messages. It’s a tremendous tool. We did some research and we found, you know, what we were delighting our clients about and what the clients were less than enthused about. And out of that research came the theory, the knowledge that we had to build this contact strategy with each and every customer. And text, I believe is going to play a big part of that strategy. George: Mike, let’s talk about the higher performance of this organization. I understand that you have some very high expectations of your top performing reps.
Mike: Yeah. Let me share with you how we develop and create really successful reps here. We have, I guess you’d call it somewhat of a farm team approach. We are constantly, constantly, recruiting for new sales reps. Every 6 or 8 weeks, we conduct a week-long classroom training session where we bring in anywhere from 12 to 15, kind of what we call new recruits, or candidates. Then they get put through a pretty intensive week of training in the first couple of days, and then the last two days of that week they actually hit the phones and they start actually doing some work. And then we have 3 sales managers who manage their own teams of anywhere from 15 to 20 reps per team, and they are just working with those teams every single day. Their jobs, the sales managers’ jobs, we tell them their job is to manufacture reps. Is to really just develop really, really good reps. We have an operations team who take care of all the details so that we can unencumber our sales managers to do nothing, but focus on their people every single day. And their job is to drive performance out of those people. We’re hoping that our reps, you know, our good reps are kinda doubling their base salary through commissions. Our great reps are sometimes tripling that. And so our really, really great reps are making a great living doing what they do here. But I’d say that we have a pretty low turnover rate too. We tend to keep people around here a long time. George: I met your sales managers earlier today, and I’ll tell you, there is a lot of engagement in this room. What do you gotta do to be a sales manager at 411.ca? Mike: You got to come up through the ranks. We try to promote from within whenever possible. Our current team of sales leaders right now have done exactly that, and so they are really effective because, you know, they’ve been there. They’ve been on the phone for many, many years, they have made literally hundreds of thousands of calls, and they’ve made tens of thousands of sales. And so that is really what makes them effective. They’ve started from scratch and they’ve earned their way up to their leadership roles. George: I see some millennials rolling around, and I get asked all the time by sales managers. You and I are not millennials. It’s pretty obvious to see that. What are you doing to engage those sales reps because they seem to be very engaged? Mike: We work really hard to understand what it is that motivates them. Definitely, there is a big population of millennials in that team. At the end of the day though, they are salespeople, and they are motivated by the success they enjoy through their commission, through their comp plans. Actually, we’re launching new comp plans to go along with the new product launches as well, but we really, really focus on a lot of instant gratification. We run a lot of daily contests and promotions. We run an annual sales incentive trip for all our high performers across the company. A bunch of them just got back two weeks ago from a week in Cancun. We took about 35 people down to Cancun for a week. George: I heard something from you earlier today about everybody’s got a Visa card? Mike: Yeah, we do load up. Everybody in the sales teams have a cash card basically, and if they kinda go above and beyond, or if their sales manager wants to reward them or congratulate them, we can just load some cash onto their card. Again, just kind of a way to keep them excited, to keep them interested. George: …and they win 20 bucks, you just throw that on. I think it’s a great way to track it. Mike: You just throw it right on their card. It’s a great way to track it. The accounting folks love it. It helps with all of the payroll issues around income taxes and all that kind of stuff. George: Well, we’re gonna make sure that we put Mike’s LinkedIn profile into the episode recap, and you can reach out to him on LinkedIn. He’s got some phenomenal ideas on compensation models and how to reward sales reps. You’ve been very willing to share that. So I’m sure there’ll be some people reach out to you and want to get some more insight. George: It’s a very impressive organization. It’s a privilege to work with you folks. We’ve really enjoyed the months leading up to this, and I’m looking forward to getting to know some of your reps and sales managers better as the week progresses. Thanks for joining us on the Conquer Local podcast. I do have to ask you, because I ask every guest this one question, and you and I have been doing this for a while. Sales is really moving away from that person with a bag showing up and giving the one-sheeter, and saying, “Here’s my product. Are you interested in buying?” Tell me how your business has changed from that because I know that that’s part of this transition that you’re going through as well. But you folks do it over the phone, so you’re not showing up with a bag, but you show up over the phone. Tell me how your business has changed. Mike: Well, the one thing that we have really focused on and will continue to focus on is training. Training the reps is critical. Even, you know, as you said, we’re not face to face. We’re selling over the phone. It’s a hard job. It’s a super hard job. Personally, I don’t think I could do it. But we have a lot of reps here who are incredibly good at it, and they are incredibly successful. They make a very, very good living. And those are the reps who’ve gone through the training, and continue to better and improve themselves regularly. So really training is the key and it’s something that is, I wouldn’t say it’s new to this organization, but it’s become a recent emphasis on what we do with our sales reps and our customer facing customer service team as well. George: Oh, constant learning is really the way that high performing sales organizations are going to win. 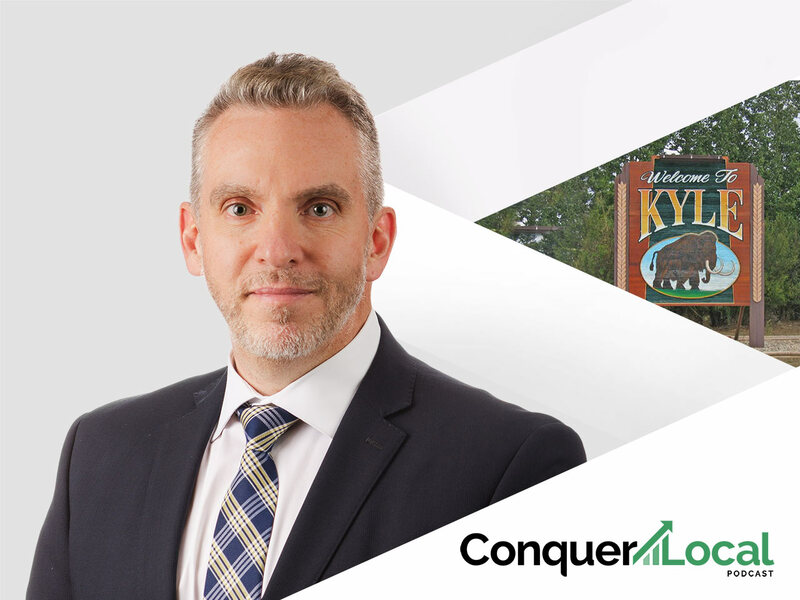 Mike Giamprini, vice president of strategy and corporate development, thank you very much for being on the Conquer Local podcast. George: I’m George Leith. I’ll see you when I see you.